New Delhi : The prime minister Narendra Modi congratulates the nation on National Handloom Day, Following is the text of Prime Minister’s message on National Handloom Day. 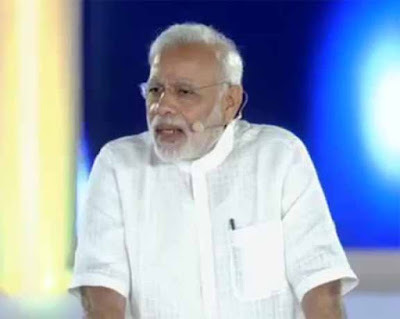 On the micro-blogging site Twitter PM Modi posted few tweets, in which he said that, “On National Handloom Day, let us affirm that we will give an impetus to the handloom sector and use more handloom products in our daily lives." On #NationalHandloomDay, let us affirm that we will give an impetus to the handloom sector & use more handloom products in our daily lives. Our handloom sector is diverse, eco friendly & is a source of employment for countless weavers, who will be very encouraged by our support. In another tweet PM Modi post also posted a video, in which he talkes about the handloom sector & Khadi. He wrote that, "Here's what I said about the handloom sector & Khadi at the Townhall programme yesterday. #NationalHandloomDay."